Luxembourg is currently waiting to welcome in a three-party coalition government, comprising the Democratic Party, the Socialist Workers Party (LASP) and the Greens, to be led by prime minister Xavier Bettel. According to the Consumer Choice Center (CCC), the incoming coalition has announced it will legalise the recreational use of cannabis, which will form part of the coalition manifesto for the next five years. Bill Wirtz, policy analyst at CCC, from Luxembourg, said the move by coalition would send a “strong message to other countries in the EU”. “The ice is broken,” Wirtz said. “Early press statements by the coalition partners indicate that it would only be legal for residents. That would be the wrong way to go, since it is not only discriminatory but could also increase black market presence in the area. “We feel that cannabis should be legal for purchase to all adults, regardless of nationality. Doing so could help create a new tourism industry in the country. At the end of the day, there is no reason to treat legal cannabis more strictly than legal alcohol. If foreigners, of age, can buy legal alcohol in the country, they should also be able to buy cannabis. Canada became the second country after Uruguay to legalise recreational cannabis use in October this year. The country passed the Cannabis Act in June, which made it legal to consume cannabis recreationally from 17 October 2018. Several US states have also moved to legalise recreational consumption, though the drug remains illegal at a federal level. In light of the burgeoning legal cannabis market, numerous drinks groups have made moves into the new category through various means. In October 2017, US drinks firm Constellation Brands acquired a minority stake in Canadian cannabis maker Canopy Growth Corporation for US$191 million, with plans to produce cannabis-infused drinks. Constellation increased its investment by US$4 billion in August this year, a deal that completed last month and saw the company’s ownership of Canopy Growth increase to 38%. It marks the largest investment in the cannabis industry to date. Elsewhere, Southern Glazer’s, the largest wine and spirits distribution group in North America, created a subsidiary exclusively for the representation of Aphria’s cannabis products in Canada. 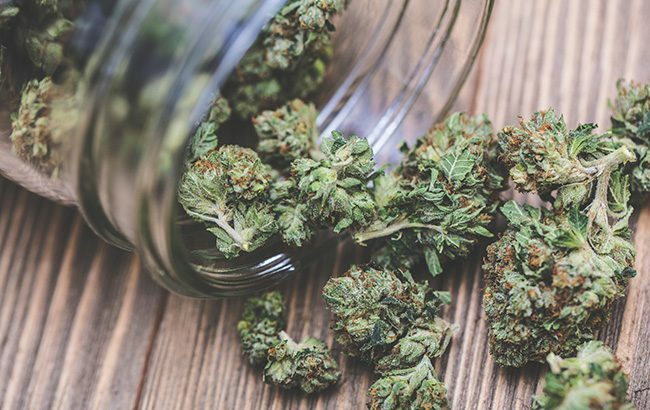 Meanwhile, distributor Breakthru Beverage Group formed an exclusive partnership with cannabis producer CannTrust and developed its own cannabis sales platform. Earlier this year, SB explored the potential impact the growing legal recreational cannabis category could have on the spirits industry.